Cats can be really jittery at times and it makes complete sense to have a separate cat house for them where they can have some lone time. But does that mean we give them a cat house which is just big enough for them to sleep? Definitely not, as cats deserve much more than just an ordinary piece of pet furniture. 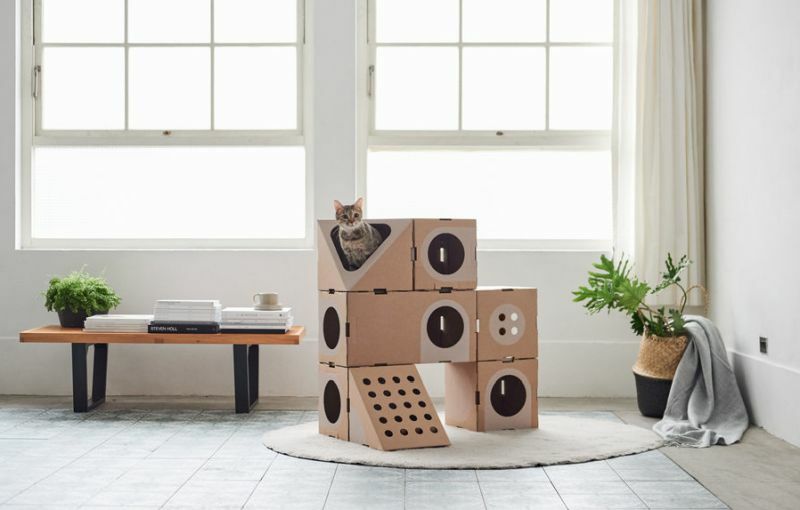 A Cat Thing is a cat furniture which revamps the way cat house, cat scratching post, and cat tower is designed for our furry friends. The idea of creating A Cat Thing cropped from the difficulty that two adorable cats – Chacha and Lilly were having adjusting to their new home. 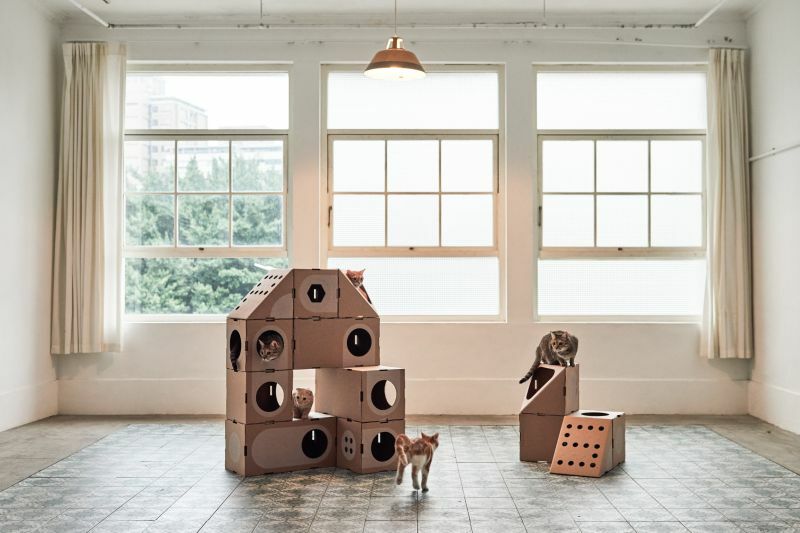 Their owners, designer Szuti Tsai and her partner were craving to make their cats as comfortable as possible. 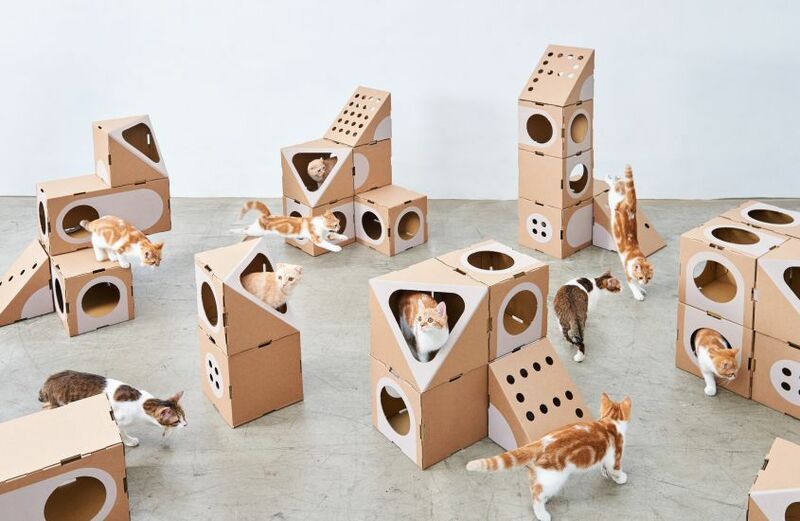 This led to the creation of modular cardboard cat house which keeps the felines interested. 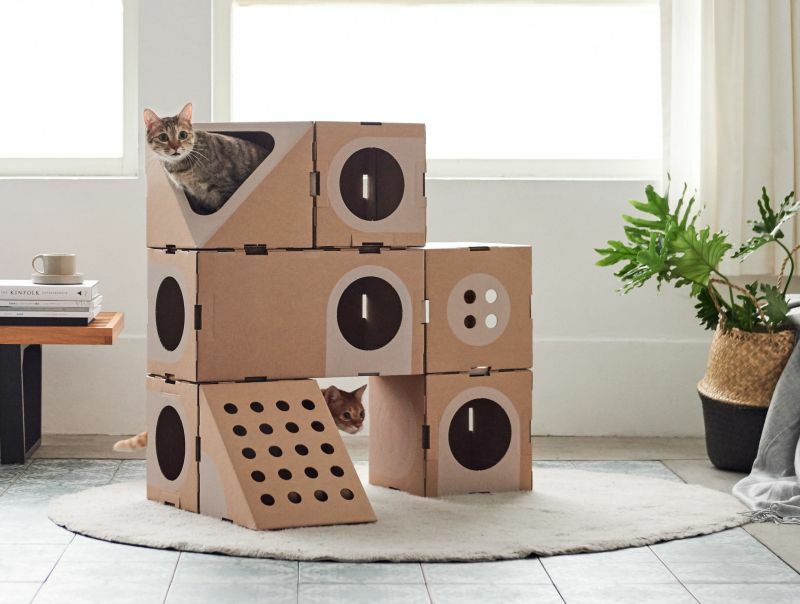 Cardboard cat furniture can be configured in many different ways to ignite the curiosity of cats, and in a way it is more practical than other cat furniture out there. 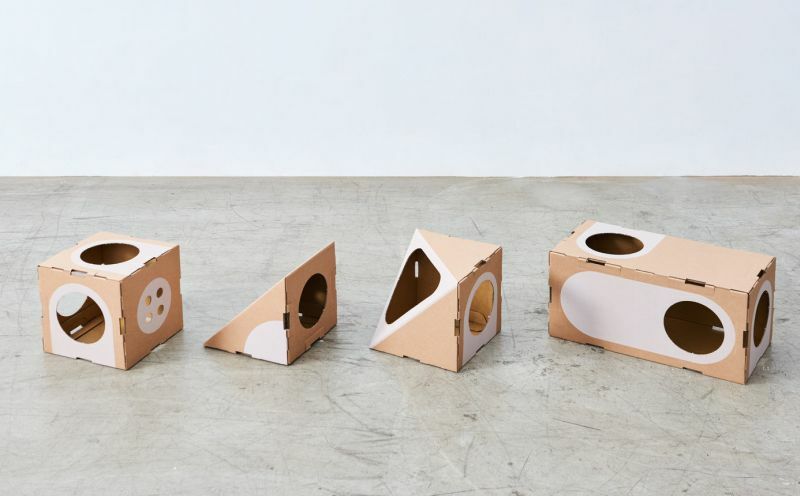 As standalone cat houses, they can be used for different sections of the house like living room, balcony or ramp. 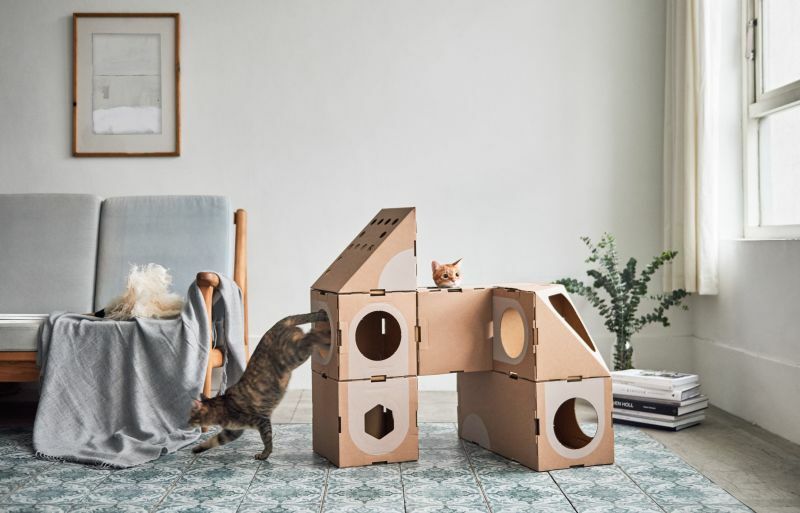 Szuti and her partner designed the cat furniture line keeping in mind the constraints of modern interiors and also the varying needs of cats. 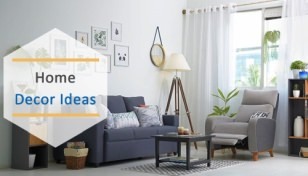 With this cat furniture, your felines will have a good time, sleeping, playing, crawling or jumping without any restrictions. As for the owners, it will give them mental piece. 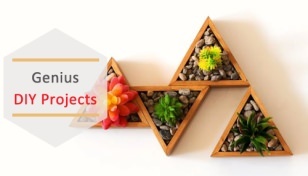 Since the duo is very particular about sustainability, hence, they have chosen cardboard as the material of choice. 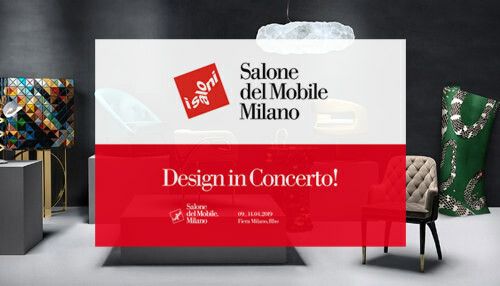 It is recyclable, non-toxic and also good for modularity. 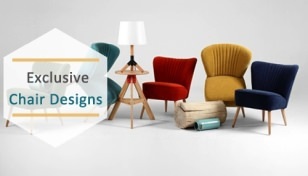 Thankfully the cat furniture collection is available for NT$ 1,380 (approx. $47) as a package or if you want to buy the individual units it is going to cost you anything from NT$250 (approx. $8.50) – NT$350 (approx. $12) depending on the cat house module you choose.